I'll be checking comments and answering email, just not posting. Have a great Holiday Season and a Happy New Year. See you in 2009. 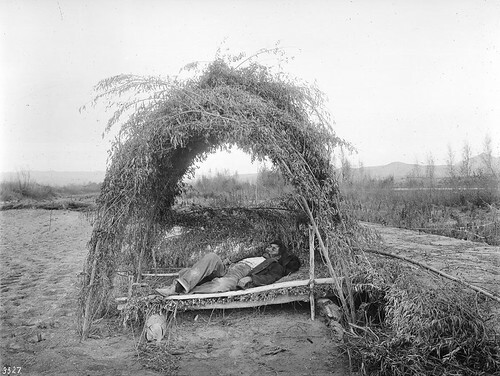 Chemehuevi Indian man dozing in his sleeping shelter in the field, ca.1900, courtesy of USC's Digital Archive. 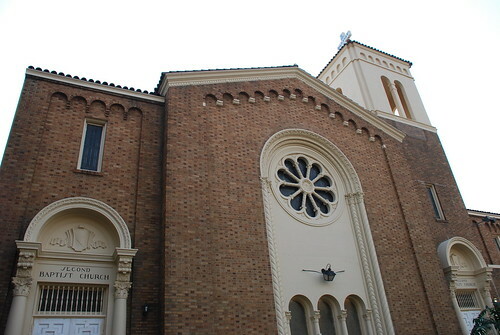 Founded in 1885 with Rev. 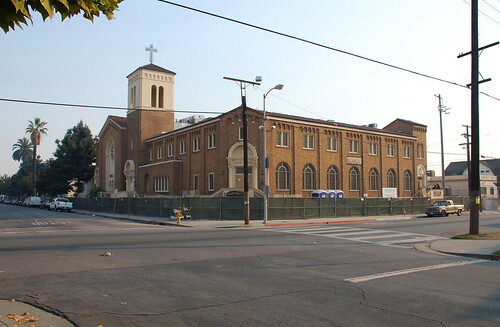 S.C. Pierce as pastor, the church was the first black Baptist church in Southern California. Its first building was on Maple Avenue between 7th and 8th Streets. Under the leadership of Dr Thomas Lee Griffith, Sr, pastor from 1921 to 1940, the congregation saw a rapid increase in membership. When church officials decided to build a new home a block west of South Central Avenue, Griffith made sure to employ African-American businesses for the construction. So, not only did he hire Williams, but he saw to it the excavators, carpenters, and brick and cement masons were all there through black owned companies. At the time of ground-breaking, the church was figuring on spending $125,000 on the brick Romanesque Revival structure, including the Sunday school quarters large enough to hold 1,500 students. The main auditorium today seats 2,200. 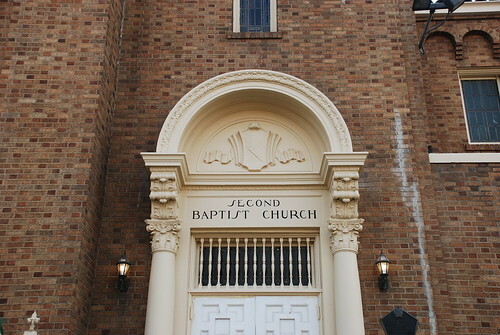 The Second Baptist Church Building was dedicated in January 1926 with Rev. Adam Clayton Powell, Sr, pastor of Harlem’s Abyssinian Baptist Church, presenting the dedication sermon. Rev. Dr Martin Luther King preached here on St Patrick’s Day 1968, three weeks before his assassination. The subject of his sermon was “The Meaning of Hope”. 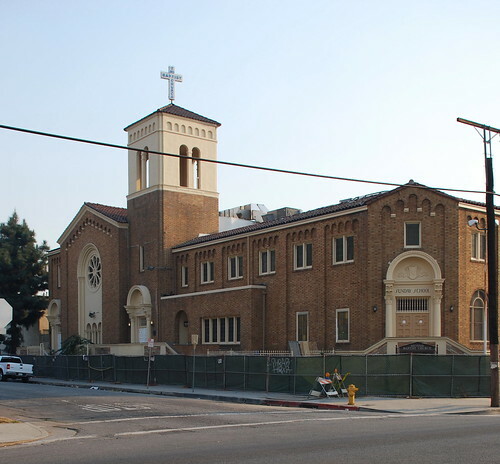 As home to the city’s oldest African American Baptist Church, the congregation’s 83-year-old landmark is in the final stages of a $5 million restoration and renovation project. 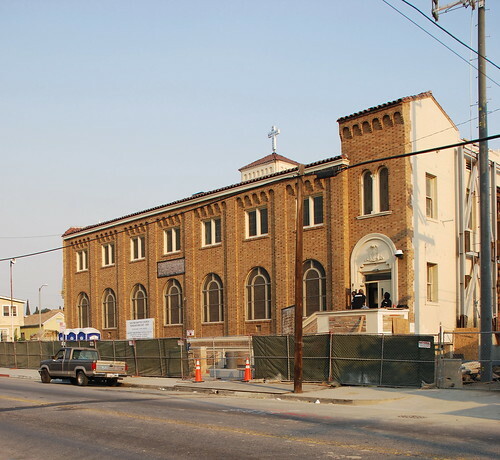 Until this is wrapped up, the group is holding its Sunday services in space out on West Florence Avenue in Inglewood. (By the way, when I called the church to get some information about visiting, the woman I talked to invited me back after work is finished, and I really appreciate that.) Since 1987, the congregation’s pastor has been Rev. William S. Epps. 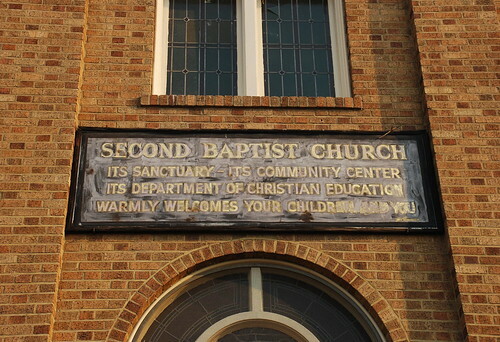 These days, in addition to serving as Second Baptist’s headquarters, the church rents out to other, diverse congregations. 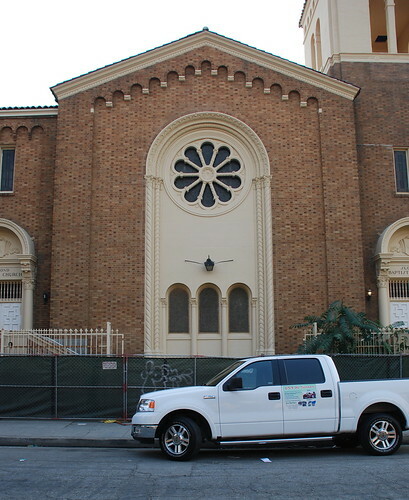 I like the fact that, despite the neighborhood’s dramatic shift in make-up since the building was constructed (it’s predominately Latino today), the Second Baptist Church is committed to stay and rehabilitate the historic building rather than move on, even as most of its parishioners today are forced to commute for worshipping.